The Aqua Drone Waterproof Quad is not your ordinary drone. 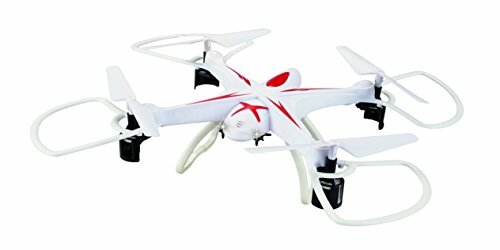 The four axis structure makes it more flexible and rapid when flying. A built-in 6 axis gyroscope gives you precise hovering and allows for simple and easy control. Fly this drone in Rain or Shine - with the waterproof feature. This product is ready to fly!. If you have any questions about this product by Braha, contact us by completing and submitting the form below. If you are looking for a specif part number, please include it with your message.